Seriously, this isn't a wholly Korean deal. 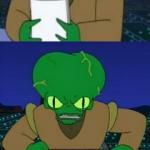 PUNY PRESIDENT MET WITH HOSTAGES FROM NORTH KOREA; MORBO WILL SUPPRESS THIS! THE TRUTH GIVES CNN GAS.